Produktinformationen "Wooden Camera Simple 3pin Fischer Trigger Cable (120")"
Simple 3pin Fischer Trigger Cable (120") connects to any ARRI standard 3pin Fischer port containing with start/stop capability like D-Box (Alexa Mini) and D-Box (C300mkII) and triggers the camera via the red button on the end. Power is not required for use and cable length is 10 feet (3 meters). 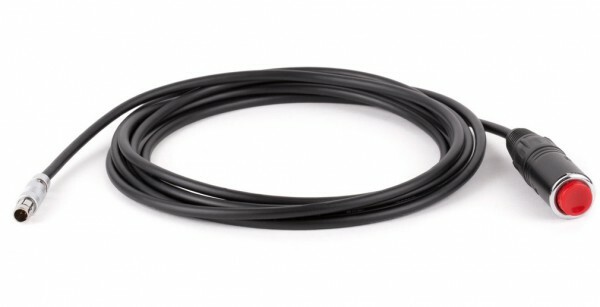 Weiterführende Links zu "Wooden Camera Simple 3pin Fischer Trigger Cable (120")"